It was a shorter day for press and punters but an intriguing one: our first sighting of the automatic qualifiers. Spain’s ESDM have a nice blue and gold backdrop. There’s a nice blurry opening and a nice bit near the end on the satellite stage: the nice arena lamps have been lowered, and Raquel nicely touches one, turning it to the yellow colour of her nice dress. So yes, it’s all very nice in a way that may have rather little impact. Having said which, there’s nothing wrong with the way it’s being staged. Meanwhile, France’s Amandine Bourgeois rocks out for her performance of ‘L’Enfer et Moi’ though the gold staging is a little light for me given the brooding subject matter. It’s a very French take on Eurovision: we’ll do our own thing; you can take it or leave it. There will be a lot of positive reviews for Amandine this week, and whilst I think she’s great too and juries will agree, it’s debatable how much that will translate into televotes, especially if stuck in the first half of the draw, which now has a 60% chance of happening. I think Germany’s ‘Glorious’ will be getting plenty of televotes based on this rehearsal. The staging is as in the national final, only the dress is different – a more flattering gold number here. Natalie starts atop a flight of stairs which she descends after the second chorus. For the climax she strides down the catwalk with more conviction than anyone else I’ve seen so far this week, and she’s only going through the motions. They’re using the version of the song that was revealed at the Echo Awards show, which means that the verses have been cut in half, but they’ve kept the totality of the choruses and bridge, which is the right decision. It does mean we get to that chorus damned quick, but a pretty powerful affair it is, with Natalie vocally excellent and harmonising well with the two backing singers. Sweden’s Robin Stjernberg has gone all Japanese in his styling with an asymmetrical white apron, grey top and trousers. The backing group look like they’re at an Issey Miyake show too. Against a red backdrop it’s not a visual feast, and I’m not a particular fan of the new feature which looks like a molehill. Whilst Robin was yodelling his way through it pretty effectively, it’s still a grower rather than a show-er for me. Bonnie Tyler was perfectly competent for the first UK rehearsal and they’ve got the staging right here. She starts out on her own, then interacts with her band – three guitarists and the keyboard player were doubling up as backing singers, and there’s a drummer too. Towards the climax of ‘Believe In Me’ Bonnie uses the catwalk and the satellite stage rises up at the end. The only disappointment was a lack of pyros at any point. The vocals sounded fine – Bonnie’s in better shape than Engelbert in this respect – and she worked the stage well. Overall, this was much better than I expected. Italy’s Marco Mengoni is ill at present so we shouldn’t judge his vocals too much based on these run-throughs (they were relatively fine anyway). The staging here was very low-key, another one to opt for blue and gold. Marco is the male equivalent of Anouk, singing in his own determinedly casual way. He used the catwalk for the climax in the third and fourth run-throughs. I’d rather wait until Marco is at his best to judge this. Let us know what you think of today’s rehearsals below. Who was your best of the ‘Big 6’? One of my (few) concerns with Italy, is that Marco won’t interact with the cameras – at all. Was that something that you saw here, or how was it? Hi squall, I would say 80% of the time Marco is looking the other way, but he knows it’s there and we got a few meaningful looks from him straight down the lens. Basically, he plays a little hard to get! It seems to me like you really upped your assessment of Marco/l’Essenziale after the Amsterdam gig! As a fan of the song, I just hope it also translates to screen, and that the live magic isn’t lost on the way… let’s wait and see as he gets better, as you suggest! 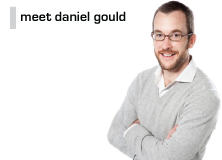 Daniel, What are you thoughts on germany to be top big 5 country, is it as simple as Germany or Italy , and if so does 5/2 represent value ( Italy best price 11/10 ) ? Hi PG, I don’t discount France with a great draw at a value price. Germany were the clear best today and 5/2 is good on that basis, with the usual “it was only the first rehearsal” caveat. Thanks for the reply. Will wait for the draw before getting involved. Dan I agree with your analysis of the French entry – its very much France proudly doing their own thing and, although seemingly doing it quite well, I think televoters will be very harsh – early draw or not. Both she and the backdrop (which is red and black in the clip I have seen) come across as quite hostile to her audience. To some extent Italy are very much doing their own thing too. But both Marco and his song are much easier on the ear though I am disappointed (but not surprised) by the staging of this one. Saying that, Marco is remarkably charming particularly when interacting with the camera. One question – do you know where us sit at home punters can hear the jury rehearsal live? I remember listening to a feed for the rehearsal for the final last year but dont remember the website. Thanks. Hi Justin, you probably listened to a live feed from escxtra last time. Unfortunately, they have been told the sound from rehearsals should not be heard this year. It may take some investigating to see if it will be possible this time around. I doubt anyone will be allowed to stream the rehearsals and jury rehearsals. Can I be controversial and suggest that this is a bit of a dogs dinner of an edit – it rather screws up the structure of the song for me – maybe because I’ve heard it so many times. Next question (you can tell I’m getting into this now – expect an article at the world’s greatest TV betting blog soon!) – When are the breaks scheduled for the final? If memory serves me right (but please do correct me), there are little 60 second opt outs every now and again, and one or two longer breaks – any one know the structure better than me? And same question for the semis btw! Hi Richard, the main break in the final usually comes after song 13. Not sure about the shorter opt-outs. Breaks in the semis will be after songs 5 and 13, I believe. Thanks Daniel. Some bloggers talk about “the first half” of the semis and so on – presumably they are just splitting them down the middle rather than viewers seeing a show of two halves “9 songs and then three minute break”. i am quite surprised how strong Cascade’s rehearsal was today. Sure, she is well experienced and all of her performances are quite reliable, but there seemed to be an extra sparkling power this time around – or am I wrong? She does have this capability of drawing you in, even if you don’t like that type of hyper calculated dance music so much ( and I don’t). She gets you to like it. Its what got her the victory at the national final in Hannover and surely a big plus for tele voting. With all countries having rehearsed at least once I would say its between Denmark, Norway, Azerbaijan, and Germany. What do you think Daniel? I can’t really disagree with that, Peter. About Germany, I do like this kind of thing, so I may be biased. But we’ve spent six days watching – for the most part – a bunch of relative novices on the big stage; Natalie is used to performing in a large arena, expert at it, and today that showed. Germany out and out, look the biz. Really had cascada as a tired act. But this is real deal, price must start coming in on Germany now. Sweden have totally lost the plot had robin down as top four cert, but why have they changed the cool blue for this red n black hell scene!!!? Georgia look a lot more polished, don’t really like the way they run together and start touching each other up. But they look more comfortable together I think. Get the feeling they will nail it on the night. “get a room I say” in the mean time. Maybe Sweden are just making sure they don’t win two years in a row. But honestly the song wasn’t good enough to win in the first place. If it’s far behind Denmark and Norway in the televote, which it’s pretty much guaranteed to be, then even a top 10 should be difficult for the hosts. Not getting all this Germany love I’m afraid. It seems like typical fan overreaction of a fan favourite to me. I’ll admit Cascada are very good at what they do, but there’s absolutely nothing about the song or presentation that’s original or particularly interesting. I don’t see ‘Glorious’ in the top 10 of the jury vote and therefore find it hard to see Germany achieved a placed finished. In fact, I’d argue that their entry last year from Roman Lob was a lot stronger – and that only limped into the top 10 despite being obviously both televoter and jury-friendly. If there actually is such a thing as a “red-black” effect, I highly doubt the Swedish delegation are considering it or even know about it. Yeah, I assume the Swedish delegation either don’t know about the theory or don’t believe in it… surely they weren’t trying to sell Anna short. why did they have 7 ppl on stage?! Panos, it was the Melodicestivalen performance! Everyone is talking about red and black backdrops – where does this consensus of it being suicide come from, anyway? Hey Andrew, thanks for taking the time to explain the theory to me! Yeah, I saw you guys weren’t 100% convinced either 🙂 and agree that the discussions are very interesting! I totally Believe this red n black stuff. I happens in sport, teams in red are seen as dangerous and teams in black get more red cards sendings off. Demark was staged perfectly I felt had a lateish draw 16, a good chance of a win, robin was topping the i-tunes why would they do this it makes no sense at all. If they wanted to deliberately lose eurovision why didn’t they just come on stage with a great big giant…..oh I see oops!!! Hi Daniel, are you aware if the computer is deciding the voting order in the final again? I think it is, I think that’s a standard feature now; they were happy with it in 2011. It works better in close-run years so was less effective last year. Voting order system remains unchanged from last two years. A computer will work out an order that tries to make the voting exciting based on jury scores and previous patterns. I emailed the EBU for confirmation and have just had it confirmed by them. The fact is, this year looks more tricky because we have several possible contenders from Russian and Scandi regions. So if we see a lot of Russian countries near the end and let’s say Russia, Azer and Georgia all doing good on the scoreboard we wouldn’t know which one will prevail in the end. After seeing the rehearsals I guess it’s time for the final ‘who will qualify’ call. At the end nothing spectacular, I still believe there could be a shock somewhere but fail to identify it. If I have to name a surprise non-qualifier it would be Israel or Malta but not betting on them. Semi Final 1 is tricky in the second half, and it wouldn’t surprise me too much to see Belarus or Belgium miss out from that list. If not Romania, then Iceland. However, I wouldn’t back it now that it’s come below evens. Now that Finland’s been backed down to 1.49, it’s a good value lay as its televote and jury support is questionable in the context of this semi. It will look cheap as hell after the artistic and flawless performance from Azerbaijan. Both eurovicious and I think Finland is a safer NQ than San Marino. Disagree since I think Finland is going through as competently performed fun entry for the neutrals while San Marino depends mainly on fan vote (it’s a good final test for my theory that fan voters have more weight in the semi’s, so based on that SM could qualify, so it’s a contradiction :)). You know, Tim suggested I write a piece on who votes in the semifinals, to explore whether there is such a thing as a fan vote. I’m pretty confident in saying there isn’t. In almost all countries that participate in the semis, the show is broadcast on the country’s main public channel and is a major televisual event, so is watched by the mainstream populace. Only in Big 5 countries are the semis shunted onto secondary channels like BBC3 or NDR. However, these channels still have an average viewership of around half a million to a million, so any “fan vote” is still very heavily diluted, even if only a tiny fraction of viewers vote. On top of this, the televote is balanced out by the jury vote in every nation. I also don’t think the “fan vote”, when it comes to the shows, can be treated as homogenous. There are lots of contest fans who don’t like the “fan” songs, as I know from Twitter, and they vote on the night too. “Fan” tastes are generationally split too; whereas Finland did exceedingly badly in the OGAE poll, younger stereotypical ESC fans seem to like it. The OGAE poll with San Marino in second reflects the organisation’s older membership – it’s people who have been fans for decades for social reasons and have more old-fashioned tastes. The poll is given undue importance; OGAE (Older Gay Advocates of Eurovision – credit to Tim for that one) is essentially a pre-Internet relic from an era when joining your national Eurovision fan club was literally the only way of following contest news, keeping in touch with fellow fans and (moreover) meeting other gay men who shared your interest. OGAE basically existed as a gay men’s social organisation at a time when homosexuality was less publicly accepted – Eurovision fandom was a cover for gay life/fraternisation, especially in socially conservative countries. The barrier to fandom being higher in the past, the membership is mostly gay male “schlager” fans predominantly aged late-40s and upwards. Both German fan clubs have around 1000 members (the same 1000), around 200-300 of whom turn up to the annual events – this in Europe’s largest country. It’s no surprise then that OGAE clubs in many smaller eastern countries newer to the contest only have a tiny number of members (who are younger and less overwhelmingly gay) and are in a couple of cases almost one-man bands. This means the OGAE poll can safely be ignored. I mean, I voted in it and I gave my 12 to Cezar, for Christ’s sake, so there you go! First of all, let’s define the ‘fan vote’. To me it’s not related to OGAE but to a winner (or top3) of many esc fan polls on the internet. This year, Valentina is the winner of the Big poll and that means she’s the favorite among many people who will certainly watch and vote on Thursday. The question is what is the percentage of those comparing to the neutrals who watch the show for the first time. The answer is very small, of course. But how many of the ‘neutrals’ will pick-up the phone and actually vote in the semi’s ? We will never know, my guess is that they vote more in the final but is that relevant? I had an impression (but never actually wrote down the numbers) that those fan entries usually end better in the semi’s than what we expect (before sinking in the final). When we think it’s probably a Q i ends up in top half. When we think it’s a borderline Q it ends up like 7th. When we think it’s a NQ it sneaks through. Usually I say and I’m not talking about Stella who was 11th in the Big poll, only looking at the top few like Katie or Ivi from last years. I also think there’s a broader blind spot in the fan community as regards modern commercial songs in general – unless they’re from Scandinavia. Slovenia and Ireland could be radio songs/club hits, Germany already is. Armenia, Belgium and Lithuania (with a little polish) could be radio songs too, at the “lightweight radio rock” end of the spectrum – and not coincidentally, fans have been incredibly down on them ever since they were chosen. By contrast, Denmark, Russia and San Marino are contest-only songs, in fact the bulk of the ballads are; I’d almost say Norway is too. Just as a small note on Norway, I know a girl that looks just like Margaret, she said its her and her friends favourite. She’s from Estonia, but lives in Belguim now, after living in Spain and France, so has a pretty diverse nationality of friends. Because juries can effectively anti-vote this year, being disliked is no longer the same as being forgotten – it’s worse. On that basis I’m sticking with Estonia as the tenth qualifier in SF1 (otherwise agree with the Betfair top 9 after the week’s rehearsals). Muted support from both constituencies should be enough for it. Then again, in this semi the most surprising thing would be not to be surprised. A week ago I couldn’t call more than 4 safe qualifiers. I’m usually a reader rather than a commentator of this blog, but I have to say one thing: Azerbaijan’s staging looks amazing. It’s this year’s equivalent to Ukraine’s sand artist in 2011. Not just a gimmick, but really smart and innovative staging. And now back to reading. Gell? Totally agree. It’s art. Really draws you in. There was a fair bit of it during some performances from candidates they wanted to keep in the X Factor last year, but I am surprised if you disagree that it’s not “unhelpful” based on stacks of examples. For this autumn’s Betsfactor I have refined it a little with an extra word at the beginning, so you can look forward to that! I am convinced that that backdrop is “unhelpful” for Sweden. It’s still an excellent vocal/song and juries will reward it I suspect, but it’s not good for the televote. I didn’t follow Melodifestivalen that year but the conspiracy theorist in me would argue that the red and black staging in the performance Daniel linked to was designed to dampen Anna’s final televote to the extent that she wouldn’t win. I didn’t either but I listened to the songs last month, it was even worse than this year. There was only one good song out of 32 and it didn’t qualify because her vocal was terrible. Eurovicious, I effectively disagree with you about the lack of “fan vote power”. Not only is it there, but I’d say the fan vote together with the diaspora vote form the big core of the votes at least in the semis. In the final more teens tune in too (but then it’s important to note that fans nowadays also mean lots of teens… even according to Eurovision.tv’s statistics of their own Facebook page, the majority of people are younger than 20yo!!). You give some data about the viewer ratings but the truth is that televotes are much much lower (again, especially in the semis). In many eastern countries they don’t even reach the minimum treshold and juries are often used instead. I’ll skip those many indirect proofs of fan-favs which scored high in the semis and low in the final. For many years I’ve been saying that Eurovision as a whole has a problem with low voting figures; or let’s say viewing figures that do not represent the European population in a reliable way. Voting figures have been dropping also according to EBU and will surely drop more with this lacklustre year. I agree with you as indicated in the above post to Eurovicious. Just to make it complete, I referenced few times to a Big poll but just in case someone doesn’t know what I mean here’s the link for this year (previous ones easy to see by changing the number in the link). Hm, which are these eastern countries not reaching the voting threshold? I know Albania routinely send jury-only votes, but other than that I have missed any such occurrences. San Marino comes to mind as a country that wouldn’t surprise me if they failed to scrape together the necessary number of televotes though? Regarding the dropping voting figures: I live in Greece and all those years i have 2 problems with the voting procedure that prevent me from voting even though i want too. Problem No2: ERT, the greek national television that broadcasts the contest, has never made public the voting figures. That means that we don’t know how many people vote 5.000? 10.000? 50.000? If EBU wants people to really get active and vote in big numbers, so that diaspora votes won’t affect the results has to change some things in trasparency and and the cost of the voting. EBU should at least make public all the televote results in numbers. squall: Bulgaria didn’t reach the televoting treshold in semi 2 in 2011. You won’t find official info about it because EBU deliberately does not disclose where televoting failed, but it is 100% true. San Marino never uses televoting. Yup, if you look at Bulgaria’s allocation of points in 2011, it clearly looks like a jury-only result. The San Marino scores too. Latvia -NQ I dont like the song, and neither will the jury in my opinion. the rehearsal feed is quite positive on the other hand, so this wouldn’t be too surprising if it snuck in. Israel – NQ i can’t understand the prices on this, it’s a mediocre ballad, plus Israel struggles in Eurovision the past years. a value lay in my opinion, of course i can see it go through with jury support. Hungary – NQ it’s a good song, but not quite suited for Eurovision, i wouldn’t lay it at those price though. I think you forgot Cyprus, which does show something!